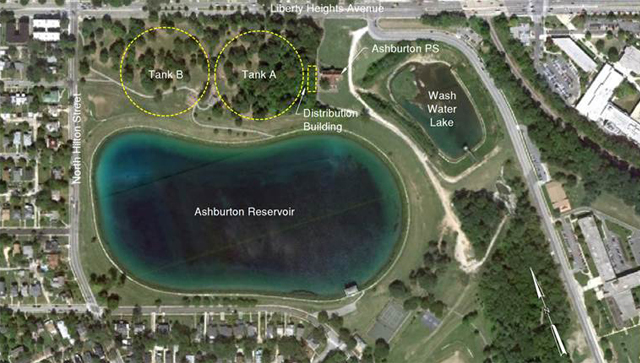 NOTICE: The next public meeting to discuss construction of the Ashburton Tanks project is at 6 p.m. Thursday, May 16, in the second floor conference room of the Ashburton Water Filtration Plant, 3001 Druid Park Drive. There will be NO meeting in April. Over the next two months construction on the secant wall, which creates a barrier between the tank construction area and the existing lake, will continue. Dust monitoring equipment is expected to be installed and operational in early April. To help preserve the high quality and safety of our drinking water system, the Baltimore City Department of Public Works (DPW) has been converting our open-air drinking water lakes to buried tanks. We’ve completed projects in Towson and the Montebello II Filtration Plant, and are in construction on projects at the Guilford and Druid Lake reservoir. Our drinking water will be much safer and secure with these underground tanks, and it will allow us to comply with federal Clean Drinking Water Act regulations. 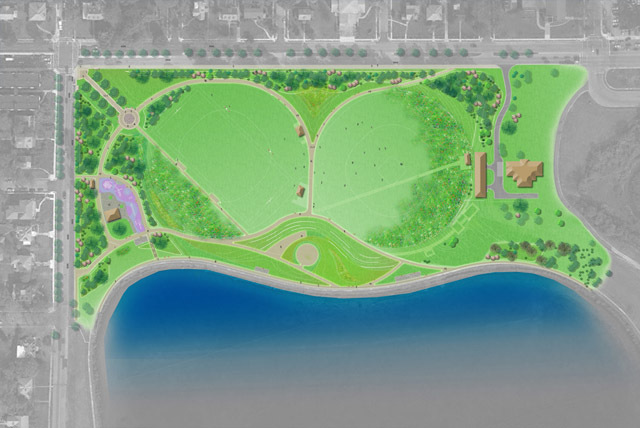 The work in Hanlon Park will take at least four years to complete (Summer 2018 – Winter 2022), including land preparation (Summer 2018), tank construction (Spring 2019), and restoration (early 2022). Building the park will take about a year longer. 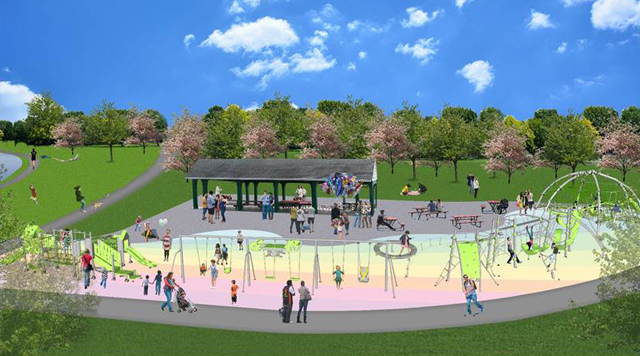 A playground and other park and green space will be built over the tanks in the space north of the lake. The entire project is budgeted for about $137 million. Upon completion, Lake Ashburton will remain as a beautiful freshwater amenity, while 50 million gallons of drinking water is secured safely in two underground tanks, each 434 feet in diameter. Due to the construction activity, public access to the park will be limited. Most of the entrance and exit for construction vehicles will be on Liberty Heights Avenue at Dukeland Street, keeping construction traffic out of the neighborhood. Funding for this project includes contributions from the State of Maryland and Baltimore County. The contractor, Oscar Renda, is required to remain in compliance with the State and City’s MWDBE hiring goals. UPDATE: Two large, full-color signs giving details of the construction project were erected in mid-December along Liberty Heights Avenue; one near Dukeland Street and one near Hilton Street. At the Nov. 15, 2018, community meeting DPW presented a video showing the rock crushing machine in use. The dust is kept down with a stream of water, and the noise from the machine is no louder than that of surrounding vehicles and other construction machines. As the site is excavated, the construction machines will be operating below ground level and the noise will decrease further. DPW will update this page to provide significant updates, and officials will be in contact with community association leaders and residents during the construction period. Questions may be directed to the Communications and Community Affairs Division, [email protected]. Two 430’ diameter D110 underground tanks holding 25 mg each that Western 2 Zone of Baltimore City Finished Water System Requires. Two 434’ diameter D110 underground tanks holding 25 mg each that Western 2 Zone of Baltimore City Finished Water System Requires.